Halaman ini merupakan halaman untuk mengunduh kereta api Jepang yang dikelompokkan sesuai nama operator pemilik rangkaian. This page contains Japanese trains which categorised by operator that operates the corresponding train set. Some packages may be not include train sets described on the package description. Consist of Chichibu 1000, Chichibu 5000 and Chichibu 7000 electric multiple unit series. Consists of Fujikyu 6000 electric multiple unit series. Consist of Izu Express Railway 8000 electric multiple unit series. Consist of East Japan Railway 101 series, 103 series, 107 series, 201 series, 203 series, 205 series, 207-900 series, 209 series, E231 series, E233 series and another electric multiple units. Consist of Kumamoto Electric Railway 6000 electric multiple unit series. Consist of Nagano Electric Railway 3500 and 8500 electric multiple unit series. Note: Nagaden 8500 train set might not work in some openBVE versions. Consist of Toei/TMG 6000 and 6300 Mita Line electric multiple unit series. Consist of Tokyo Metro 03, 05, 05N, 08, 3000, 5000, 6000, 7000, 8000, 15000, 16000, Toyo Rapid 1000 and 2000 electric multiple unit series. 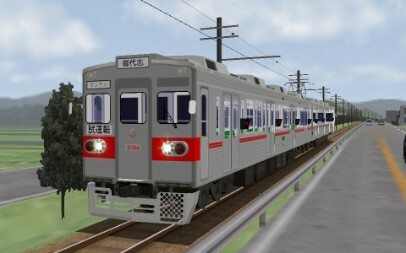 Consist of Tokyu 1000, 2000, 5000, 5050, 5080, 6000, 7000, 7200, 7500, 7600, 7700, 8000, 8500, and 9000 electric multiple unit series. Consist of Ueda 1000, Iga Railway 200, Towada 7700 and other one man service electric multiple unit series.